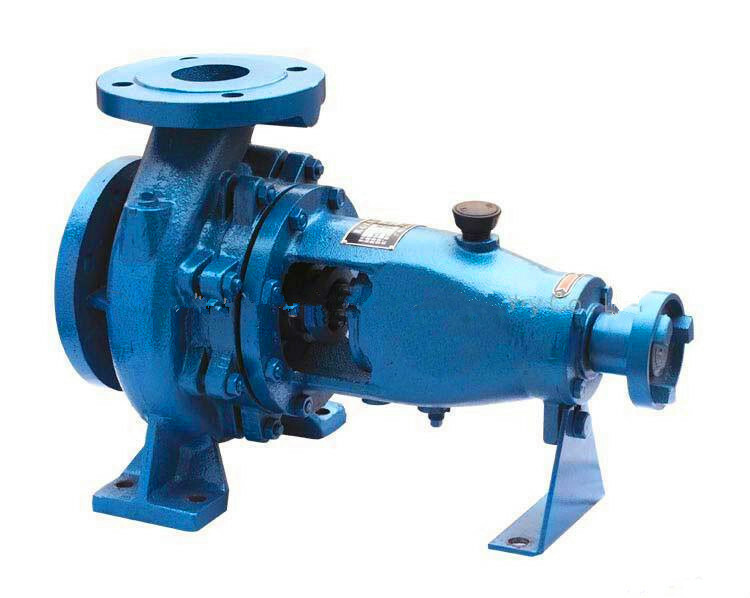 IS/IR Horizontal Single Suction Centrifugal Water Pump, The pump is back-pull-out design, which allows disassembling the casing cover and impeller without removing the suction and discharge pipeline. There are two roller bearing in the bearing housing, they are oil or grease lubrication. The pump and motor are connected with flexible couplings. The casing, support feet, suction and discharge flanges are casted together. 1. IS / IR horizontal single-stage single-suction water centrifugal pump designed according to the international standard ISO2858 performance and size of the design, mainly by the pump, pump cover, impeller, shaft, seal ring, sleeve and suspension bearings And so on. 2. 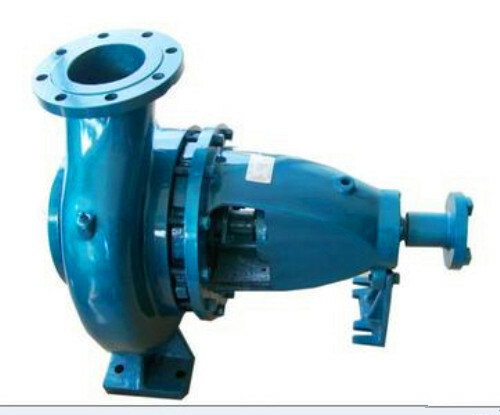 IS / IR horizontal single-stage single-suction water centrifugal pump pump and pump cover part, is divided from the back of the impeller, that is commonly referred to as the back door structure. The advantage is easy maintenance, maintenance does not move the pump body, suction pipe, discharge pipes and motors, just remove the coupling of the middle of the coupling, you can exit the rotor part of the maintenance. 3. the pump shell (that is, pump and pump cover) constitute the pump studio. Impellers, shafts and rolling bearings are the rotor of the pump. 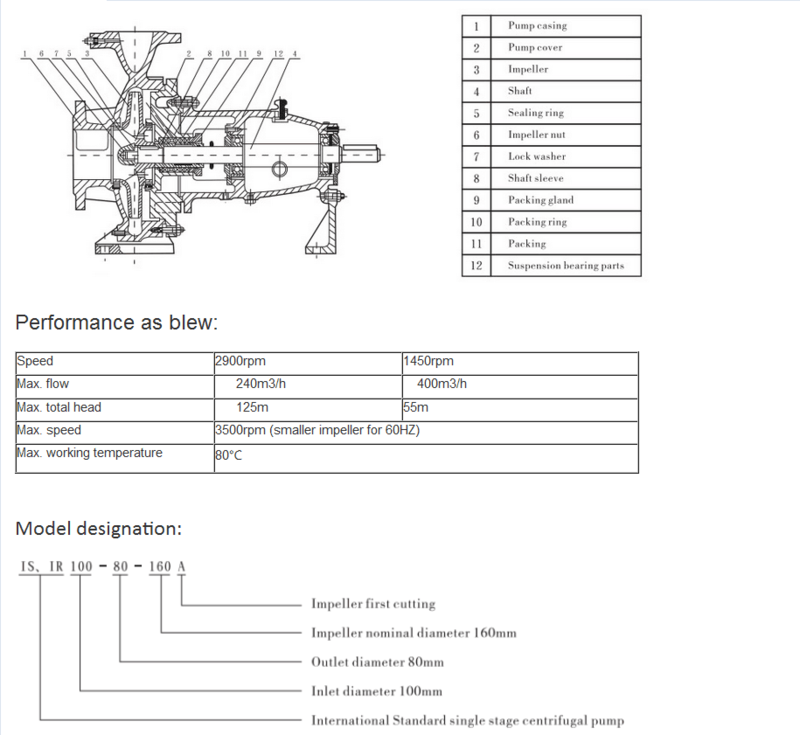 The suspension bearing member supports the rotor portion of the pump, and the rolling bearing is subjected to the radial force and axial force of the pump. 4. in order to balance the axial force of the pump, most of the pump before and after the impeller is equipped with a seal ring, and in the impeller rear cover with a balance hole, because some pump axial force is not large, the impeller is not sealed on the back Ring and balance hole. 5. the pump axial seal ring is composed of packing gland, packing ring and packing, etc., to prevent the intake or a lot of water leakage. If the impeller of the pump is balanced, the cavity with the soft packing is connected with the impeller inlet. If the liquid at the inlet of the impeller is in a vacuum state, it is easy to enter the surface along the surface of the sleeve. Therefore, Pump hole on the hole, the pump chamber pressure water lead to the packing ring for sealing. If there is no balance hole in the impeller of the pump, the liquid pressure on the back of the impeller is greater than the atmospheric pressure, so there is no leakage problem. 6. in order to avoid shaft wear, the shaft through the packing cavity parts with sleeve protection. There is an O-ring between the sleeve and the shaft to prevent ingress or leaking along the mating surface. 7. the pump is driven by lengthening the elastic coupling with the motor, the direction of rotation of the pump, from the drive side to see, for the clockwise rotation. ▪ Be used for industrial and urban water supplying, drainaging, also for agricultural irrigation. ▪ Can delivery water or liquid that physical and chemical similar to water. ▪ Liquid temperature shall not higher than 80 ℃, suction pressure not more than 0.3 Mpa. ▪ Normally shaft seal is packing seal, mechanical seals is available for choice. ▪ Water circulation, petrifaction, pharmacy, food, mining, textile and machinery industries, etc. Looking for ideal IS/IR Centrifugal Water Pumps Manufacturer & supplier ? We have a wide selection at great prices to help you get creative. All the Single Suction Centrifugal Water Pump are quality guaranteed. We are China Origin Factory of IS/IR Water Pump. If you have any question, please feel free to contact us.